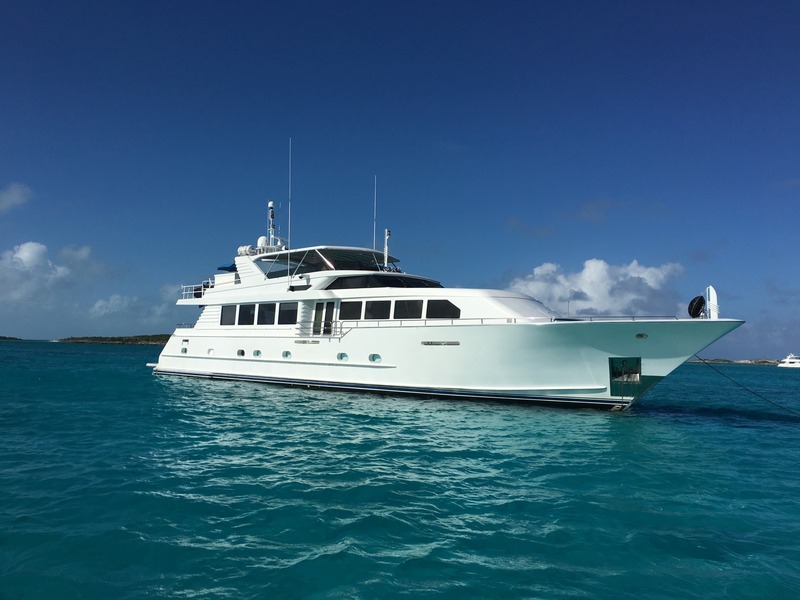 Built by Broward Marine in 1997 and last refitted in 2017, 32m/106ft luxury yacht BREAKAWAY is a contemporary semi-displacement hull made of aluminium and her naval architecture was completed by the shipyard. 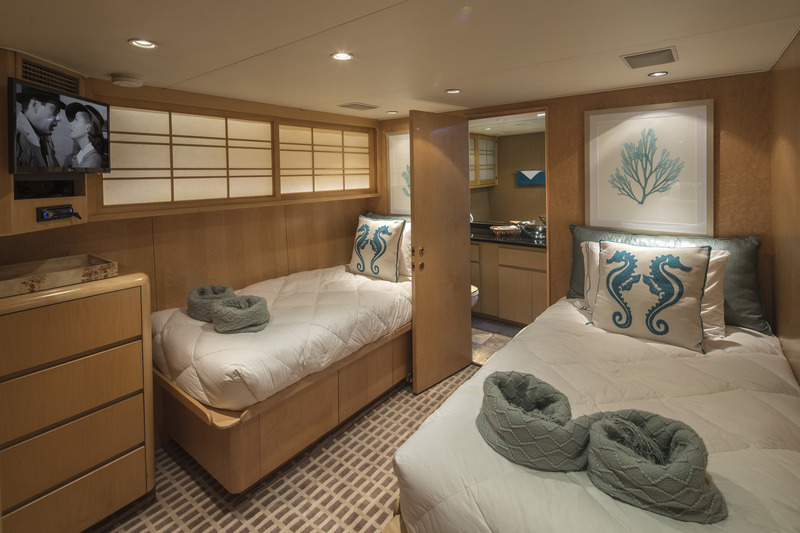 The accommodation provides for up to 9 guests across four beautifully appointed cabins. 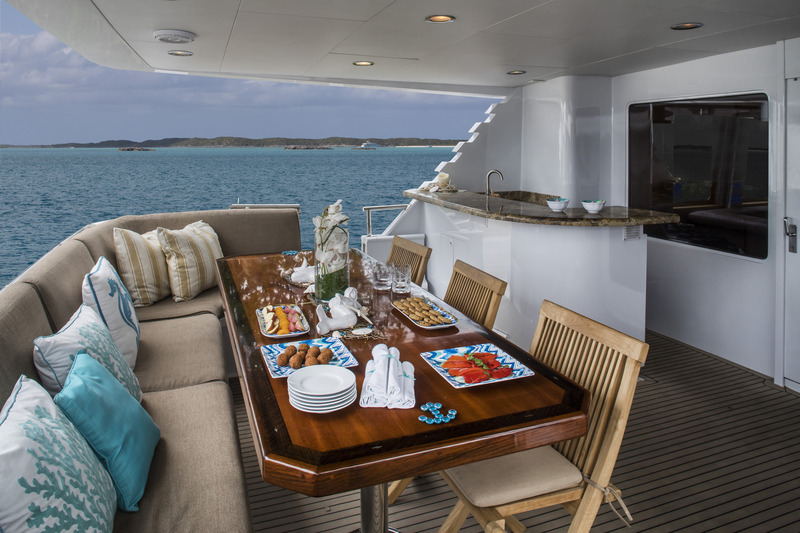 The main deck aft is designed for alfresco dining, offering an excellent seating area along the stern and a nearby bar for refreshments to suit a meal at any time of the day. 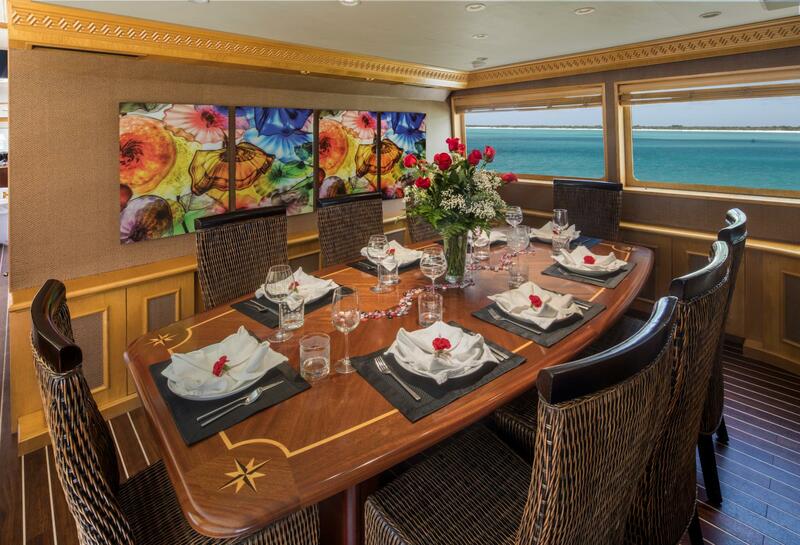 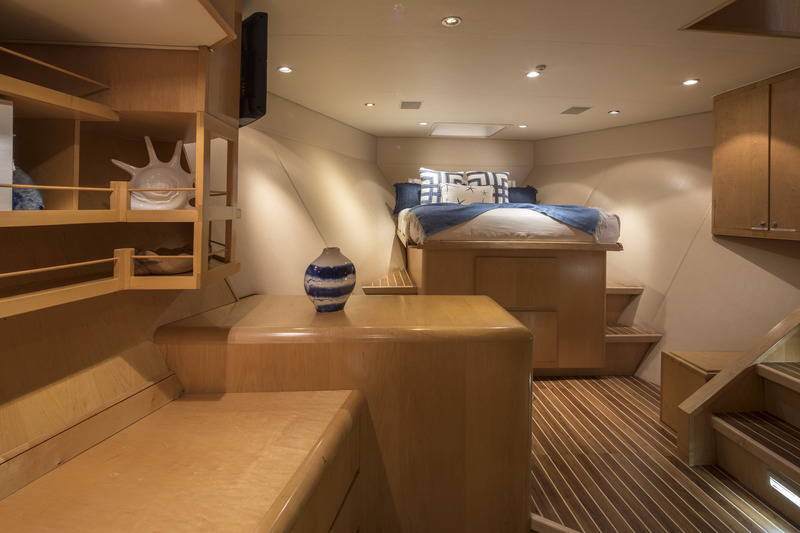 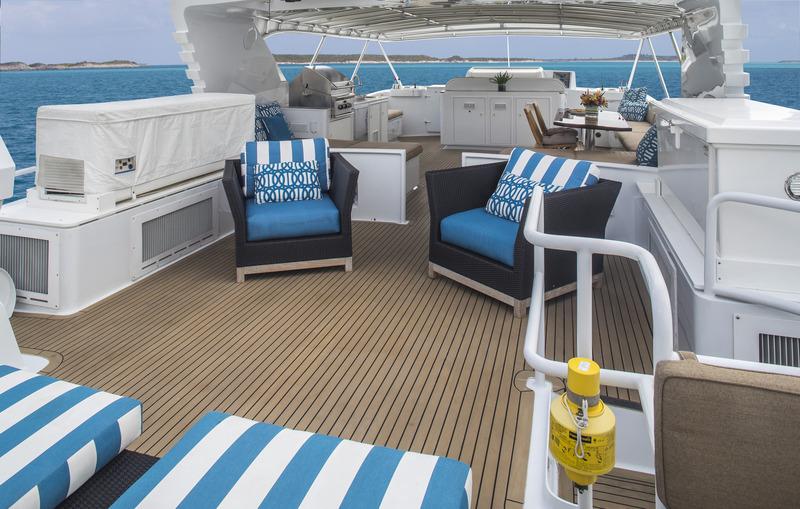 The foredeck is covered in sunpads for a tranquil afternoon admiring each amazing location. 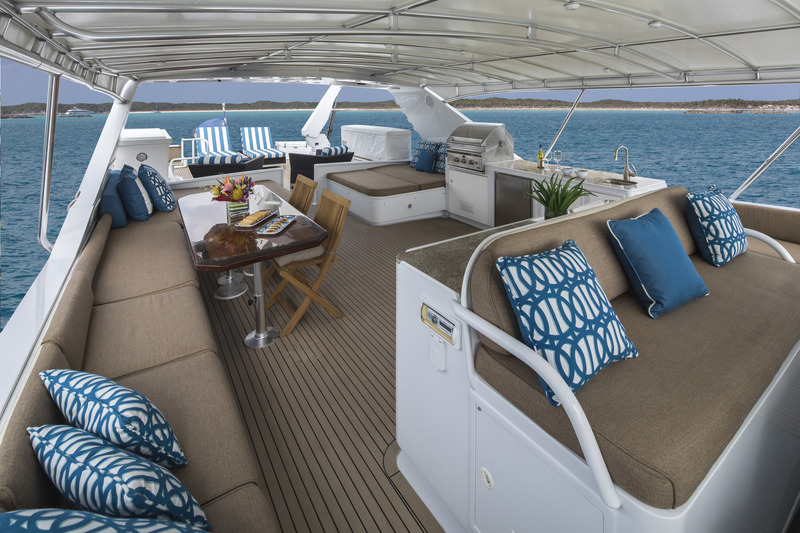 On the flybridge, the aft section is laid out with sunpads and armchairs while the central and forward deck area features an elongated sofa for alfresco dining and relaxation. 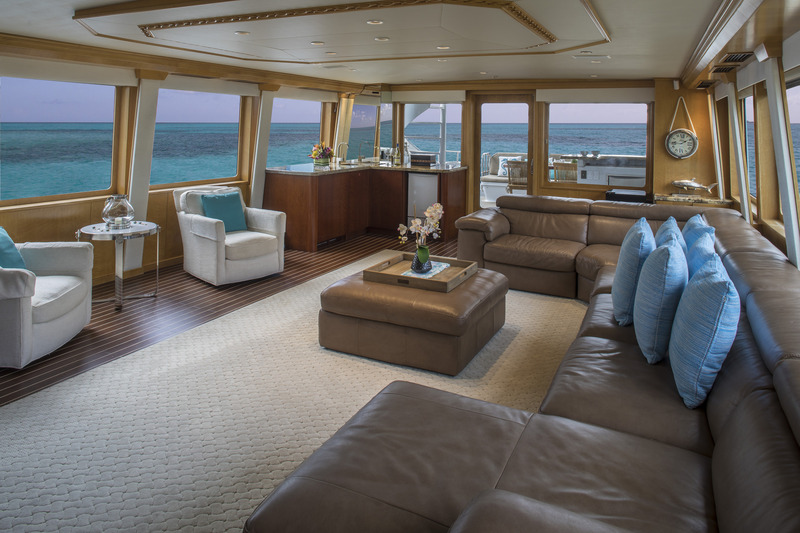 The salon is a large open plan space with the seating running the full length of the port side and armchairs spaced out along the starboard windows. 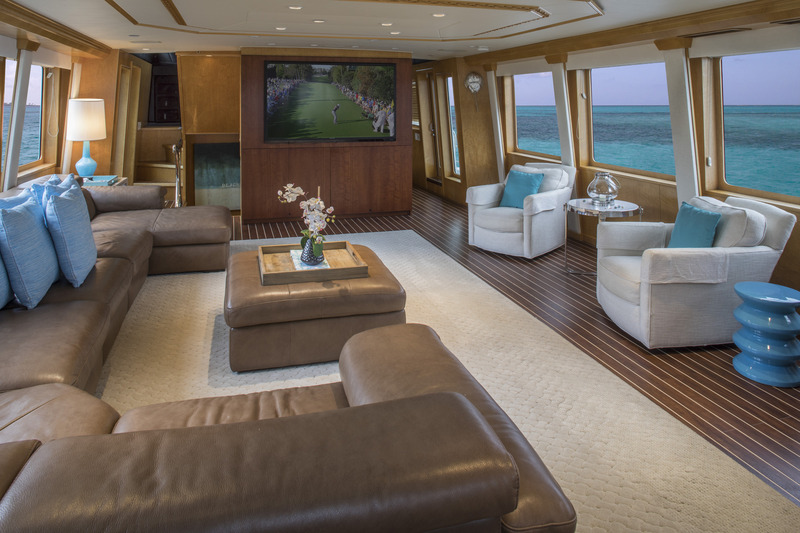 A widescreen TV is placed on the partitioning wall behind which is the formal dining area, which is able to seat up to eight guests in sophisticated and invigorating surroundings. 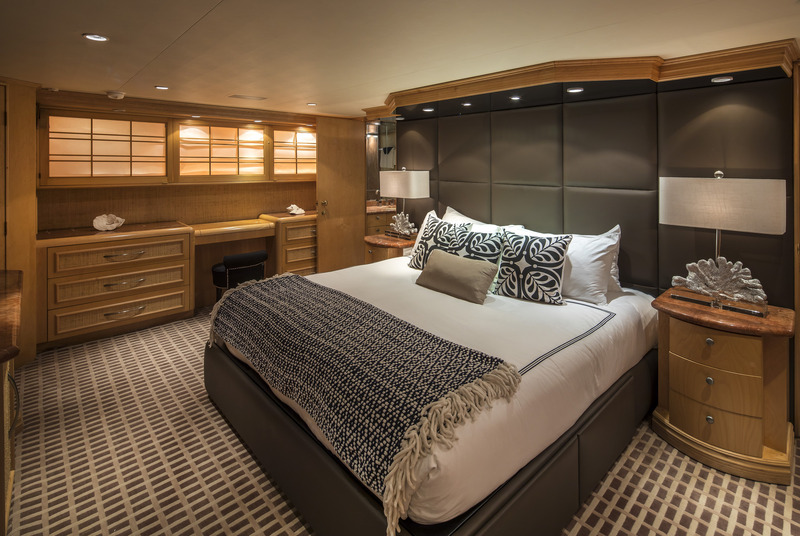 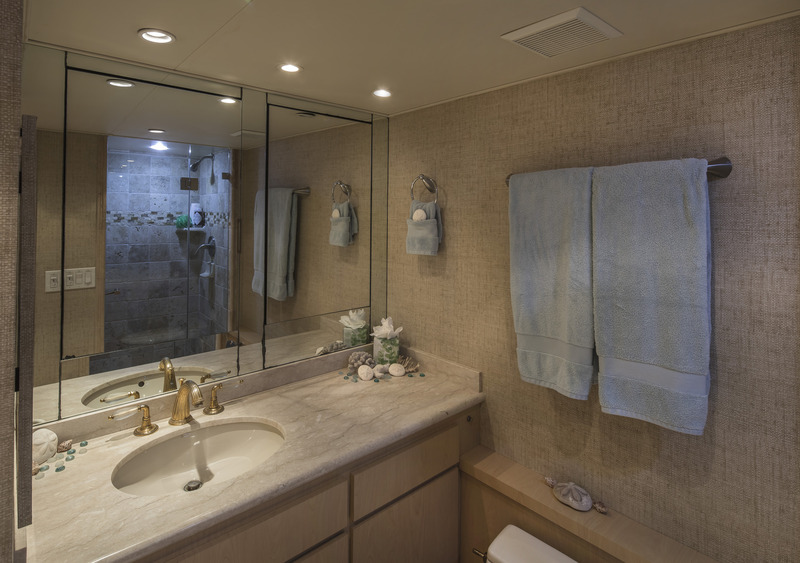 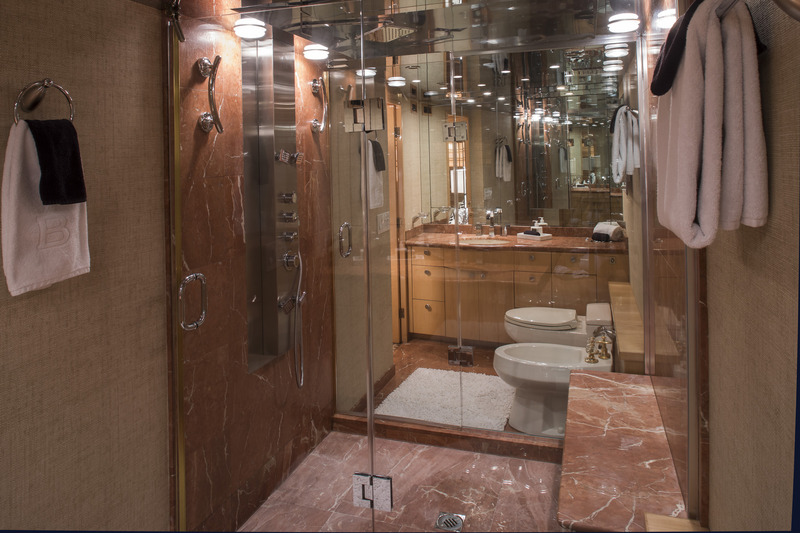 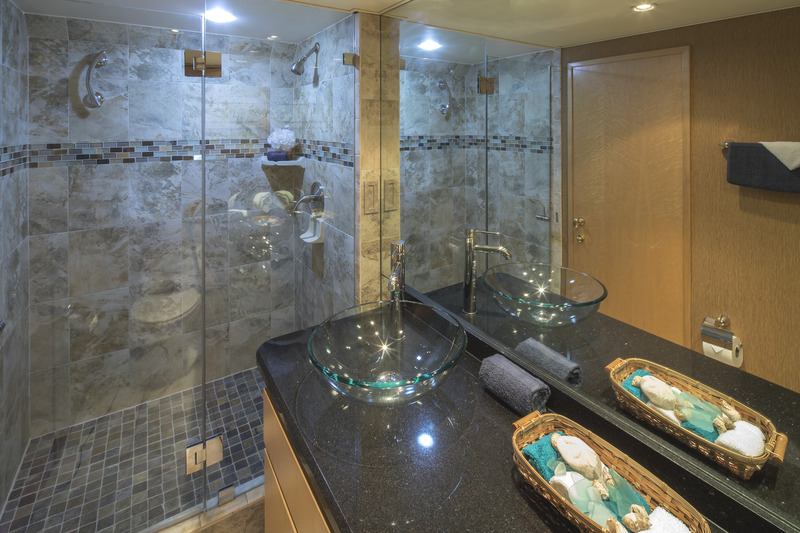 The accommodation sleeps 9 guests over 4 cabins: 1 Master suite, 1 VIP stateroom and 2 twin cabins. 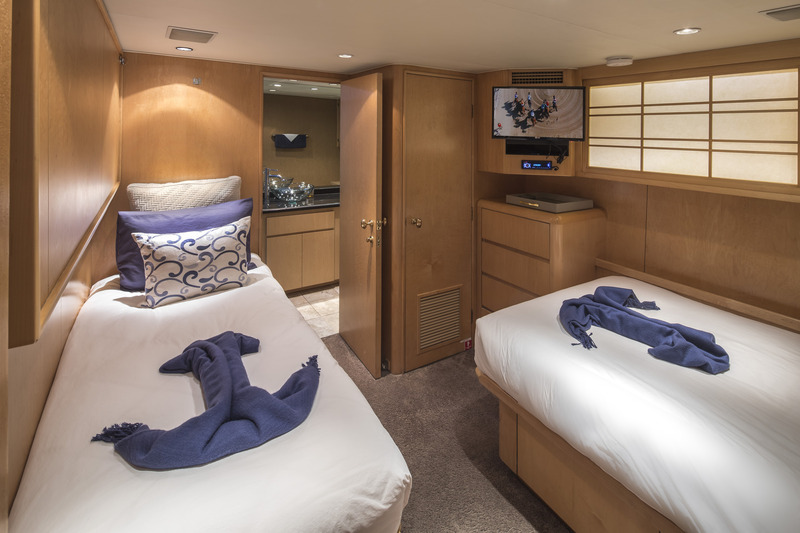 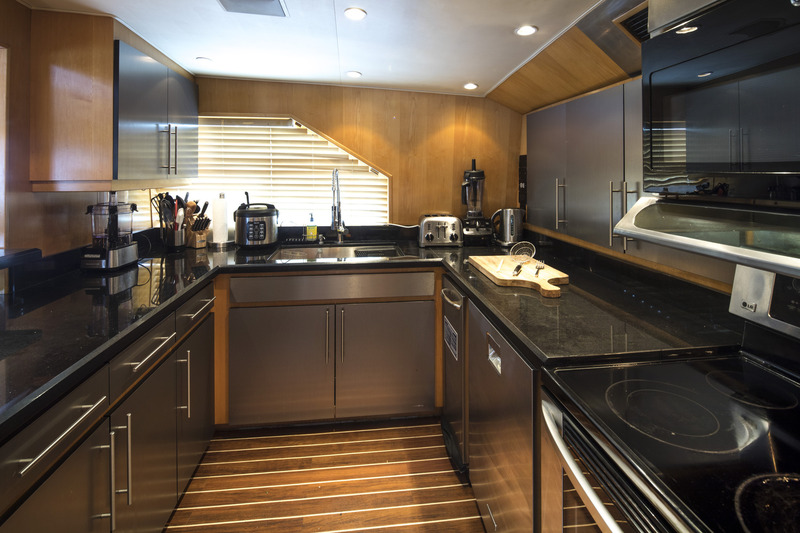 The crew of 4 will ensure that everyone on board is well looked after throughout the charter. 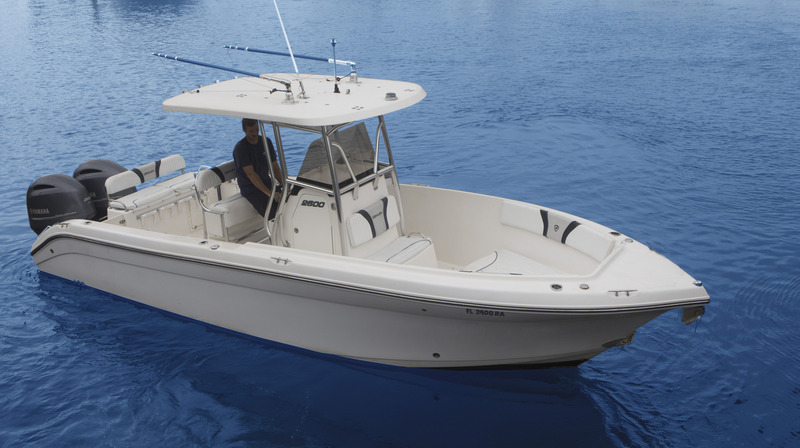 Century 26' center console with Twin Yamaha 200 HP, Zodiac yacht line 16' tender with Yamaha 60 HP, 2 x paddleboards, 1 x surfboard, water skis, snorkelling equipment, diving equipment, fishing gear, towable toys Diving available with Dive instructor for approx $800 cost for 7 day charter Communications Satellite TV and Internet connection where geographically available. 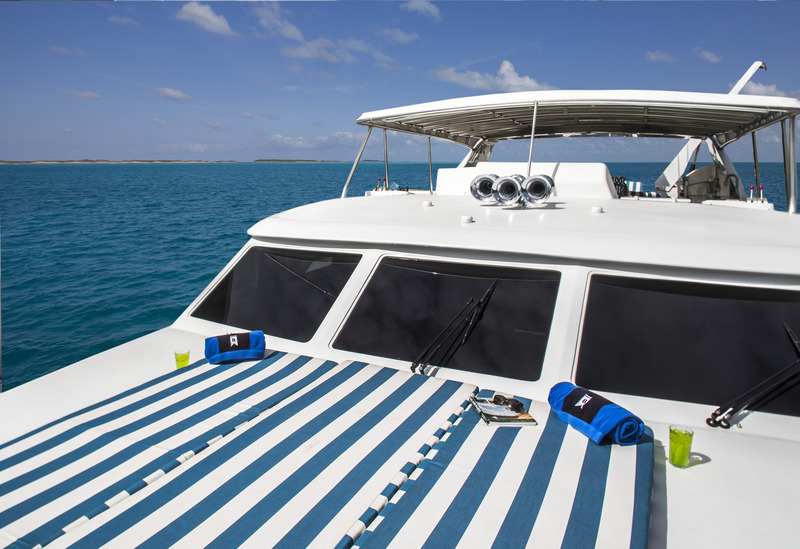 Where Wi-Fi is available, one (1) gigabyte of access is included at the dock. 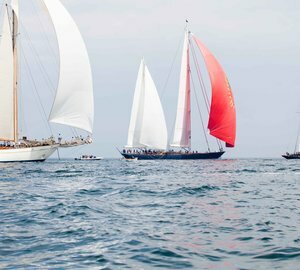 Subsequent gigabytes will be charged at $80.00 per gigabyte.